Using of Automated Teller Machine (ATM), particularly in the night, is very risky in some places or areas that are not well secured. 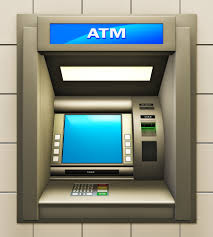 Here in Nigeria, the Nigeria Police Force (NPF) has issued an alert to Nigerians using ATM particularly in the night and areas that is not well secured, to be watchful as armed robbers have started pretending as ATM users in order to rob bank customers and people making use of ATM. 1. Always pay close attention to the ATM and your surroundings. Don’t select an ATM at the corner of a building — corners create a blind spot. Use an ATM located near the center of a building. Do your automated banking in a public, well-lighted location. 2. Maintain an awareness of your surroundings throughout the entire transaction. Be wary of people trying to help you with ATM transactions. Be aware of anyone sitting in a parked car nearby. When leaving an ATM make sure you are not being followed. If you are, drive immediately to a police or to a crowded. 11. Don’t take commercial motorcycle to the bank or asked the okada rider to wait for you in front of the bank. 12. Ladies, if you are to keep your money in the bag after withdrawing from the ATM machine, it’s good to hold your bag or firmly to avoid being robbed. 13. Don’t go to the Atm machine late at night, it’s dangerous or early in the morning like 4am especially for those that do go to work early in the morning. 14. Incase you don’t know how to use the ATM, the security at the bank will put you true, don’t ask a stranger or someone you don’t know. 15. Be street wise and vigilant, because boys are not smiling. If you like this tips, please share it with your friends and family, they will surely appreciate it.